Inside the Neo-Calvinist movement there is a massive problem with authoritarianism. The abuse of power by people like James MacDonald, C.J. Mahaney or Mark Driscoll is sickening. You can go from Harvest Bible Chapel to the late Mars Hill to Sovereign Grace and the issues duplicate themselves. In Mars Hill Joanna Petry wrote that if Mark Driscoll could have murdered her husband he would have. James MacDonald, according to Julie Roys used elders wives pictures for target practice and stabbed another one in a rage with a butter knife. C.J. 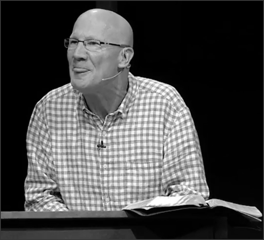 Mahaney smiled and was known for his “humility.” While being humble he casually blackmailed people and led a corrupt theological empire. He exerted people to “give until it hurts.” While people in Sovereign Grace gave sacrificially and often ate oatmeal for dinner Mahaney lived well off the backs of people who gave. He has no remorse for his behavior as I interpret this situation. "The Local Church", 9 Marks, Acts 29, Al Mohler, Atheism, Blogging, Bryan Loritts, C.J. Mahaney, Capitol Hill Baptist Church (Washington, D.C.), Cults, Culture Wars, Evangelical Issues, Evangelicals and Spiritual Abuse, Franklin Graham/Billy Graham, Harvest Bible Chapel, James MacDonald, John Piper, Jonathan Leeman, Justin Pearson (Sojourn Fairfax Pastor), Ken Ham, Mack Stiles, Mark Dever, Mark Driscoll, Neo-Calvinism, Pastor, Redeemer Arlington (Arlington, VA), Redeeming Grace Church/Sovereign Grace Fairfax (Fairfax, VA), Redemption Hill (Washington, D.C.), Remnant Church (Richmond,VA), SGM, Sojourn Fairfax (Fairfax, VA), Sojourn Network, Sovereign Grace Churches, What is a Man?, What is Sin? Good article I don’t agree with everything. But it makes excellent points! I love the shift of culture becoming more consent oriented especially the church. Also when it talked about people will talk in raises voices to make themswlves more credible to the group right then I’m like that’s why some pastors yell during sermons, Macdonald is one and I see his sons are copieing that too and that’s why!!! Ja and that is fine. The goal that I have is to teach you how to think and not what to think. The fact that you can read something and appreciate parts of it and disagree with other parts is good. You, me and everyone else needs to learn how to think, challenge and question. Learning to think critically is healthy and good and will prevent you from getting involved in another Harvest Bible Chapel. But think about things from different angles and even question me. That is good and any person who writes should welcome questions. Thanks for your comment.